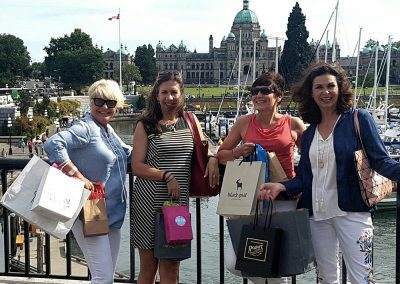 Allow me, That Girl in Victoria to show you around my beautiful city to introduce you to some eclectic and wonderful shops and businesses where you will find Unique and local products from Vancouver Island, British Columbia and Canada. These tours are a great mix of Sight Seeing and Shopping combined. A great overview of Downtown Victoria. This tour is ideal if this is your first Visit to Victoria and perhaps are on limited time. …and you’re curious to see how the Local’s live and where we shop. A lovely Sea Side town. Sidney is about 40 minutes outside of Victoria and includes some of my favorite places to shop. This tour is ideal if this is your first Visit to Victoria and perhaps are on limited time. During this Walking tour, you will get a great overview of Downtown Victoria with fun facts and historical stories of some of our most famous buildings and the characters who shaped Victoria at the turn of the century. 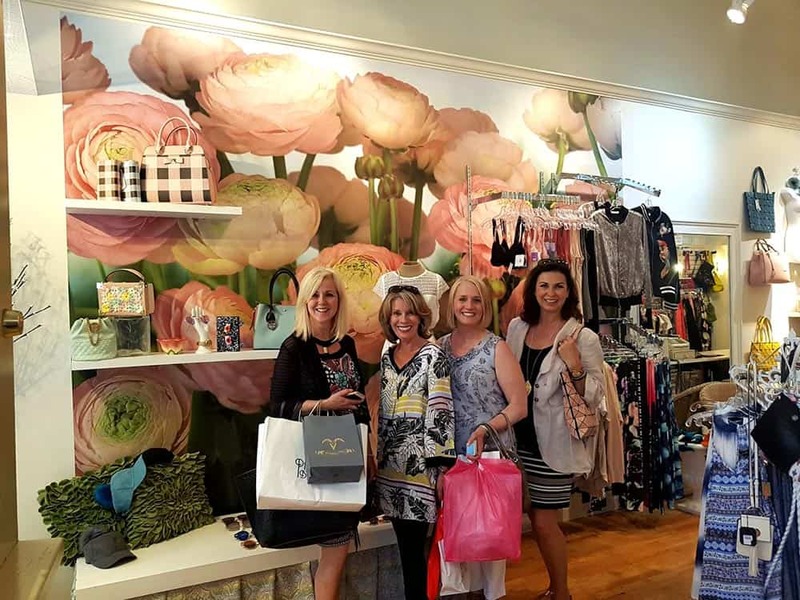 You’ll discover a wide variety of locally owned boutiques promoting Books, Art, Fashion -new and Vintage, Jewelry, Shoes and fashion accessories, organic and natural body products and many items specific to Vancouver Island, British Columbia or Canada. We’ll wander through Bastion Square artisan market and saunter in and out of Shops along the Hip street dubbed “LOJO”. 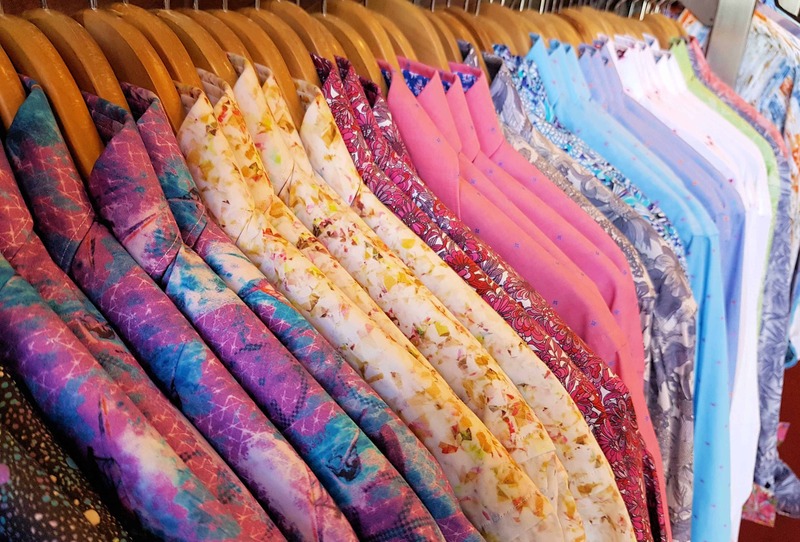 Visit the Canada’s oldest China town and the narrowest alley in North America and learn the scandalous history while browsing the wonderfully quirky shops. 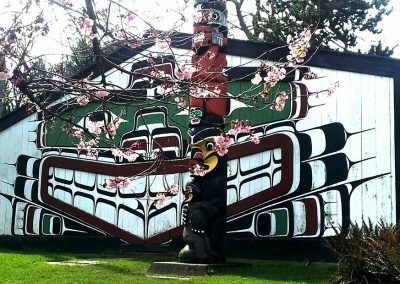 A great tour to wander casually through Charming Victoria – Special Tour discounts are offered by many Shops along this Tour. Hot Tip: if you are an artist, bring your favorite design and have some runners custom-made with your art! Pick up and Drop off: Any Hotel/Accommodations within Greater Victoria area. Walking tours meeting Point at the Visitors Information Center at 812 Wharf Street, Victoria. Transport: Lincoln Navigator for up to 6 people. Groups more than 6 require special transportation arrangements. Notes: This Tour is primarily a Walking tour with mostly flat city sidewalks. 1 shop has age restriction of 19 – ID required. Visit another area of Victoria: Fisherman’s Wharf/ Beacon Hill Park/ Craigdarroch Castle/ Government House / Abkhazi Gardens / Butchart Gardens / Wine tastings. So, you’ve wandered through the Downtown Victoria already and now you are curious to see how the Local’s live and where we shop? This is the perfect tour for you. This driving tour will include a scenic drive along the Ocean through some of Victoria’s most prestigious and charming idyllic neighborhoods. Along this route we will stop at Beacon Hill Park and take advantage of some incredible views of the city, Olympic Mountains and the Juan de Fuca Strait. Drive through the most beautiful and oldest Golf Course in Canada and stop at the Marina to feed the seals. Oak Bay Village will be the main attraction on this tour, where you will find Old World Charm in Modern day form with shops and restaurants housed in Historic Victorian era buildings. Time for more? We’ll take a detour to another village depending on time and shopping wishes a tour through any of the following villages will surely not disappoint: Cook Street, Fernwood, Estevan. This tour is a relaxed experience soaking up the West Coast Beauty and sauntering through village neighborhood shops, perhaps a stop at the Marina for a glass of wine or even an easy walk along a sandy beach. Your Tour – Your pace. Pick up and Drop off: Any Hotel/Accommodations within Greater Victoria area. Transport: Lincoln Navigator. Pick up at Hotel/Accomodations within Greater Victoria. Cruise ship pick ups are subject to “Port fee” of $5/person. Notes: Some stops will have small amounts of rough terrain, a pair good running shoes are recommended. The views are well worth it. Additional city exploration? The extended Villages tour can include Cadboro Bay and Mattick Farms with a stop for lunch at a Beachside restaurant or even a picnic on a sandy beach as a customizable option. Enjoy golf? How about a quick 9 holes on an incredible scenic gem of a par 3 course. 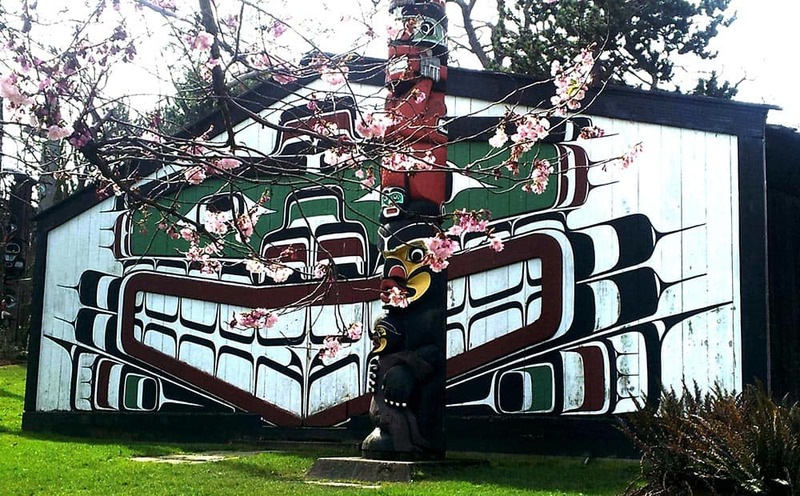 – These additional Village neighborhoods are ideal for newcomers to Victoria. Sidney by the Sea is a lovely Sea Side town about 40 minutes outside of Victoria and includes some of my favorite places to shop for Fashion, shoes and accessories – New and Vintage or Once Loved. But let’s not limit the shopping fun, you’ll also discover cool boutiques selling Sweets, Books, Antiques and Art, Home Décor and fantastic gifts. A walk along the Seaside board walk is a must. This tour can also be booked in the late afternoon on Thursdays to include the popular Sidney Summer Market between 5:30 – 8:30. Summer fun for Music, Food and of course great local unique artisan shopping. A Visit to Sidney is a perfect combination with a Tour of the famous Butchart Gardens and to elevate this tour experience we can stop at a number of Vineyards or Apple orchards for Wine/Cider or Gin tastings. Transport: Lincoln Navigator. Pick up at Hotel/Accommodations within Greater Victoria. Cruise ship pick ups are subject to “Port fee” of $5/person. Notes: The drive from Victoria to Butchart/Sidney is 30-45 minutes. Once loved fashion, Furniture and Home décor. WHAT? Just want to explore Victoria with local? You betcha!! Victoria is my home and I love to share all of my discoveries and favourite places to Eat, Play and Shop with Visitors and Friends. Supporting LOCAL Artists and Businesses is my focus. If you are a visitor, or already a resident, I invite you to explore everything there is to know about Victoria, BC with me.